I hope your weekend is off to a great start! 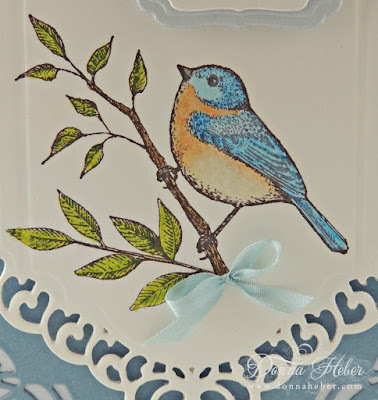 I have a little bluebird card to share with you today. 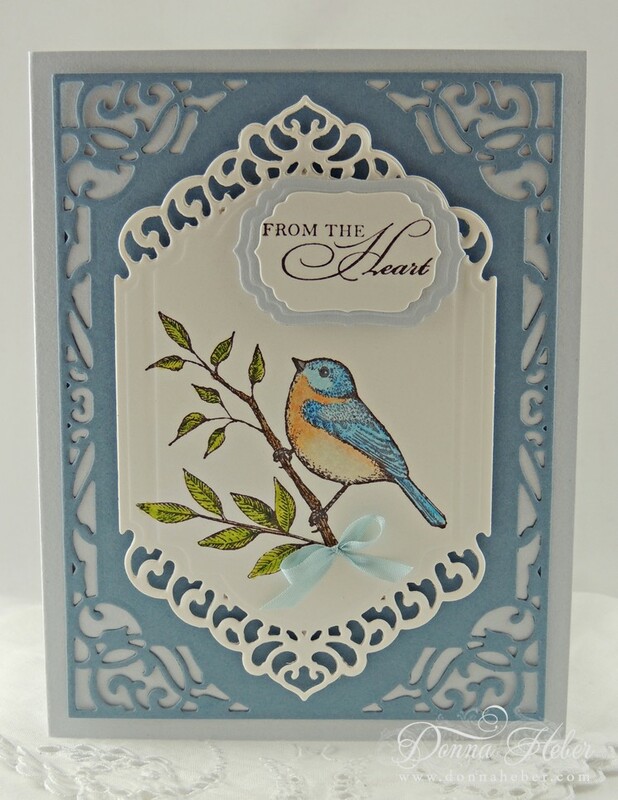 I used the Spellbinders Divine Eloquence dies and cut a piece of Buckaroo Blue paper then layered it with Shimmery White. I absolutely love the vine inspired design these dies create. 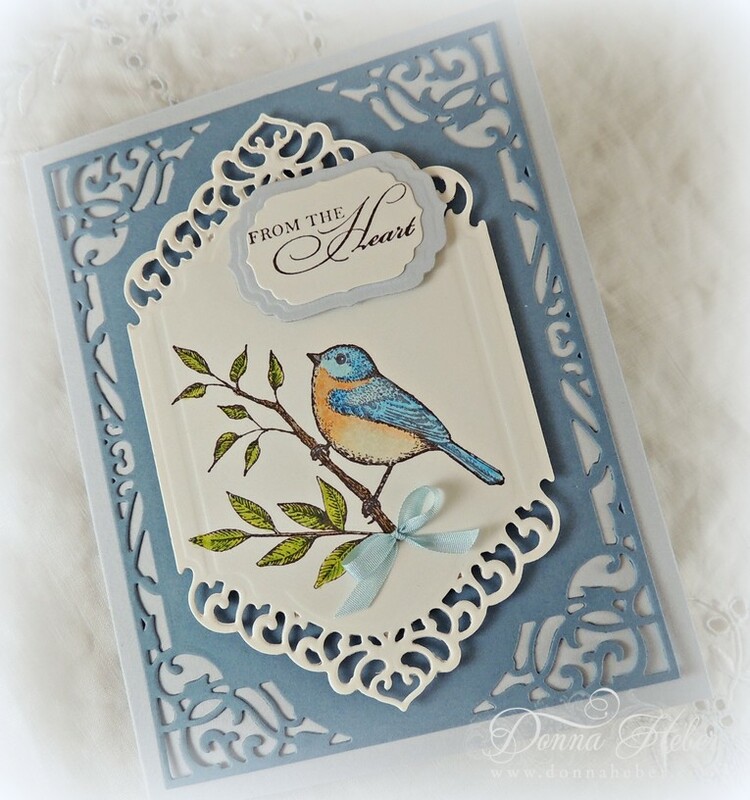 The bluebird image was stamped in StazOn Timber Brown and colored with Prismacolor pencils with Gamsol. Doesn't he look charming? A tag was created using Label Four dies. The sentiment is from the Stampin' Up Watercolor Trio set. To finish off the end of the branch I added a little bow made from May Arts 1/8" silk ribbon. 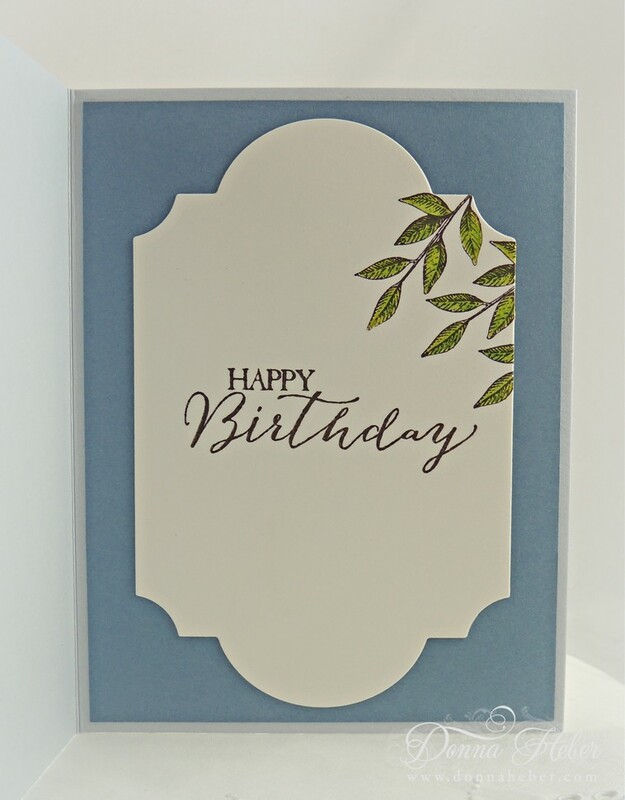 Happy Birthday was stamped in StazOn Timber Brown with coordinated branches. Tomorrow is my sister-in-law's birthday. I am sending her hugs & wishes for a fantastic day! Enjoy the weekend my friends! Loved the bird! So pretty! Such a pretty card! Love it! This is SO very beautiful, love the colours and the dies. What a wonderful card - love the colors and your coloring of the bird.